Everything you need to know about Quake Champions. Quake Champions is an upcoming First Person Shooter from id Software and published by Bethesda Softworks. The most recent entry in the Quake series, which has otherwise been dormant since 2005’s Quake 4, Quake Champions is set to be released on PCs in 2017. Quake Champions was developed with an e-Sports sensibility in mind, and takes inspiration from other recent “hero shooters” such as Overwatch. As such, the game features a wide arrangement of playable characters with unique skillsets. Quake Champions offers a variety of options for monetization, including purchasing and free to play options. The free to play version allows the player to use The Ranger, and purchase other heroes much like Killer Instinct. The game is not expected to launch on consoles due to hardware limitations and the focus on fast pace that demands the mouse and keyboard. At an early point in the development of Quake Champions, then going by the project title ‘Lovecraft’, the game was originally considered as an expansion to Quake Live, itself a 2010 remade version of Quake III Arena, itself a 1999 game that has remained popular on the e-Sports circuits. As they played with the expansion idea, the development of DOOM 2016 caught their attention and the title moved into becoming its own thing, with Saber Interactive being brought in to assist with development. Quake Champions was first announced at E3 2016 with a simple debut trailer outlining the intention of being a rebirth of the arena shooter and its e-Sports focus. 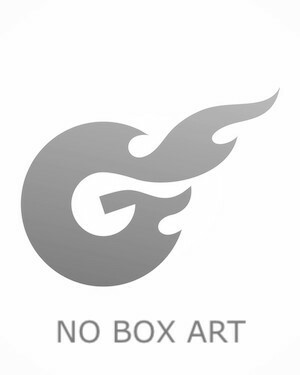 The game would feature a large cast of playable characters each with their own unique skill set and due to the pace of the game and e-Sports focus, was announced as a PC only title. Because they wanted to focus all their efforts on creating a multiplayer shooter, there is no single player mode in Quake Champions. 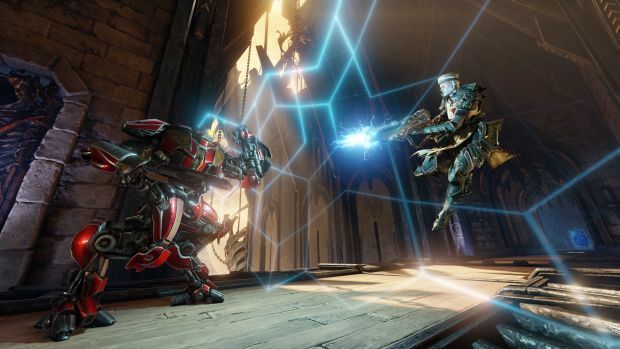 Later at Quake-con 2016, creative director Tim Willits revealed that the game would run on a hybrid engine made up of id Tech and Saber Tech, instead of id Tech 6, which powered games like DOOM 2016. 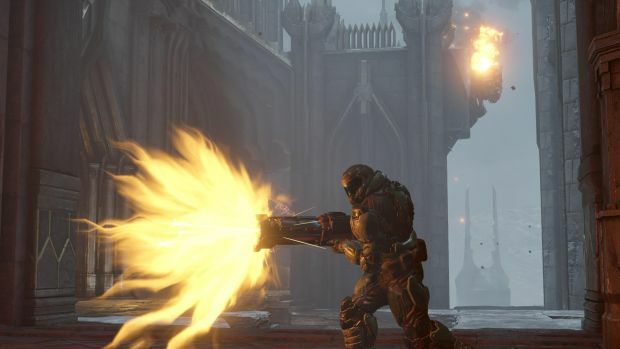 The unique engine meant that Quake Champions would not see a number of features from DOOM right out of the gate, such as Virtual Reality, Vulkan API, SnapMaps and Mod support, though the latter could come later. The game entered a closed beta period on April 6, 2017 and would enter Early Access on Steam as of August 23, 2017. Even prior to launch, id has already begun introducing new characters to the roster, announcing at E3 2017 that William ‘B.J’ Blazkowicz from the Wolfenstein series would be playable, followed by the Doom Slayer from the Doom series, revealed in August. While the game is very much rooted in the lovecraftian, gothic lore of the series, there is no single player story mode in the game, as that was not what the development team wanted to focus on. Quake Champions is a multiplayer focused, competitive arena-style, character based shooter, taking inspiration primarily from past entries like Quake 3 Arena and the character driven abilities from the MOBA genre and games like Overwatch. The game has a selection of heroes (called Champions) to choose between, all with their own passive abilities and active abilities, which we will go in depth in a bit. The abilities are based on a counter system and players will have to discover how those intermingle. Character customization will be included, such as hats. Unlike many modern shooters, there are no loadouts, instead making players find new weapons on the battlefield. Players choose to begin with either the Machine Gun, Shotgun or Nailgun, and can find the Heavy Machine Gun, Lightning Gun, Railgun, Super Nailgun, Super Shotgun and rocket launcher around the map. And because it wouldn’t be Quake without it, there is Rocket Jumping in the game. The game will feature leagues and ranks, and modes will include 1V1 or free for all styles. Game types include Free-For-All, Sacrifice, Duel and Team Deathmatch, while also allowing custom games between friends. There are currently 8 different maps in the game. Quake Champions is confirmed to release with 12 different heroes, though only 11 have currently been revealed. The Quake Ranger is the starting champion that free players will always have access to. He is the most rounded of the champions, and has the passive ability “Son of a Gun” which means he takes 20% less self inflicted damage from any weapon. His active ability, the Dire Orb, is a multifunctional projectile. Anarki is a transhuman champion who has replaced much of his body with cybernetic enhancements. He has a passive ability of Air-control, allowing him to change his movement direction while in midair, and an active ability to immediately restore his health and add an extra point to his health pool which he can build over a match. B.J ‘Terror-Billy’ Blazkowicz from the Wolfenstein series joins as a playable character with the passive ability Blitz, which regenerates him to the nearest quarter of his health bar when he takes damage, and an active ability to Dual Wield, both mechanics adapted from recent Wolfenstein games. Clutch is a mining automaton gone berserk and driven into the Nightmare. Something of a tank character, Clutch has a huge pool of health and slower movement. His three passive abilities are Still Defense, where he’ll take 20% less damage while standing still, Acceleration where he’ll move faster in a straight line, and dodge where double tapping in a direction will cause him to hop in that direction. His active abilities are Barrier Shield, where he generates a spherical shield and a Mining Drill, a version of the Lighting Gun with less damage but no ammo consumption. The Doom Slayer is the second guest champion in the game, with a look and backstory straight out of DOOM 2016. His active ability is Berserk, where like in his home game, he’ll gain increased speed and be able to punch his enemies with enough force to cause them to explode into viscera. His passive abilities include his double jump and being a silent protagonist. Yes that is an ability, because he won’t be spouting off quips, he can better conceal his map presence. Galena is a new character, implied to be from id’s Hexen universe. The closest thing the game has to a healer, her Active is Totem, which gives teammates and herself an instant 50 point health recovery within its radius, and kills any enemy caught within. Her passive will automatically reduce her cool down timer each time she picks up health bubbles. Nyx is from a peaceable Melem people who sent away their greatest warrior, her. Their ability to phase into another dimension momentarily, or Ghost Walk, is her Active which allows her to move undetected and invulnerable for a short time. She can wall jump as her passive, offering her some extra mobility. Scalebearer is a hulking beast of a fighter, Warlord from the marauding Greiss. He conquered countless worlds with the active ability Bull Rush, which sends him charging forward like a steam engine, and his Passive Heavyweight allows him to damage enemies with his weight alone if he’s moving fast enough. Slash returns from Quake III Arena, and is just as crazy as before. Her active is a Plasma Trail which can damages anyone who enters it, and she can set it to explode. Her passive is the Quake 4 Slide. Sorlag is a proud Sorg Warrior and the best hunter in her clan, returning from Quake III Arena. Her passive Bunnyhop allows mid air control changes of momentum and her active Acid spit does an area of effect acid attack. Visor is the result of Moscow’s GRU experimentation, able to use enhanced sight despite the mask covering his face. His Active, Piercing Sight allows him to see his opponents through walls for a short time, and his passive Grasshopper allows him to strafe jump.